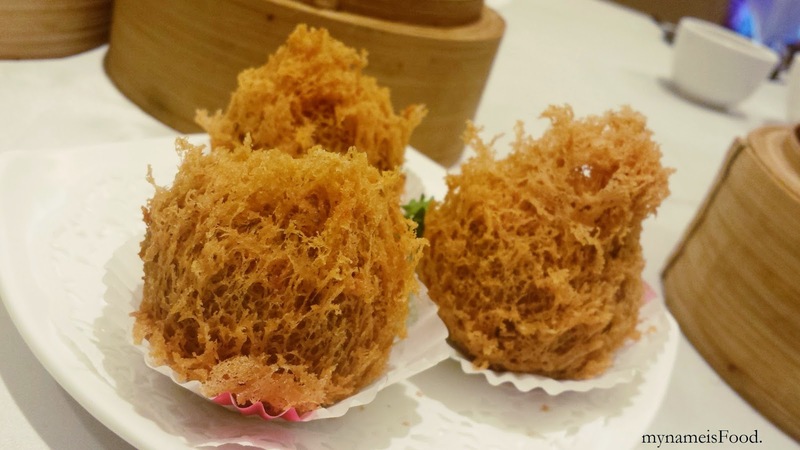 Ah Yat Abalone Restaurant, Java Paragon Hotel, Surabaya, Indonesia - my name is Food. 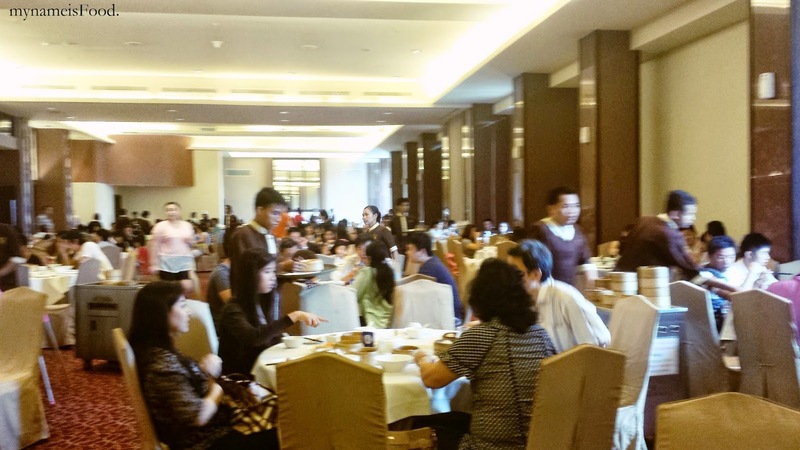 Yum Cha is everywhere around the world and one of the many best yum cha restaurants in Surabaya, Indonesia is called Ah Yat Abalone which also has a franchise in Jakarta and Bali. 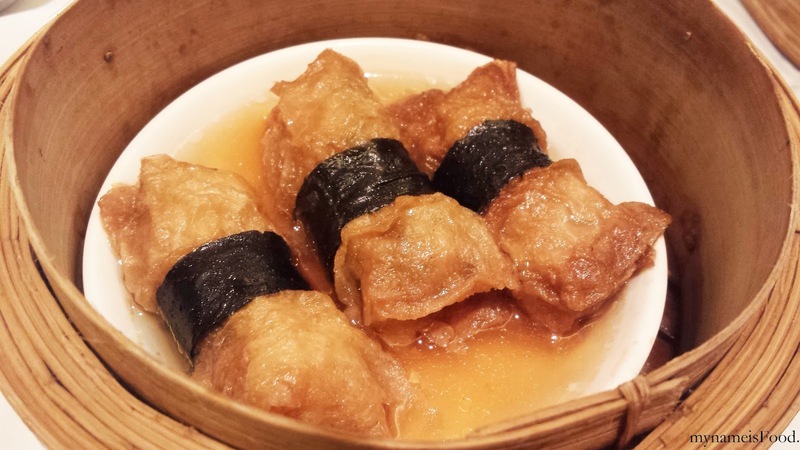 It is located in Java Paragon hotel boasting its fresh seafood and offering a huge range of chinese cuisines including assorted dimsims. It's interior seems to be just a function hall filled with tables and chairs, though compact and simple, don't underestimate since it gets packed easily during the weekend, making you having to wait for awhile. Parking is usually, well commonly valet over here. 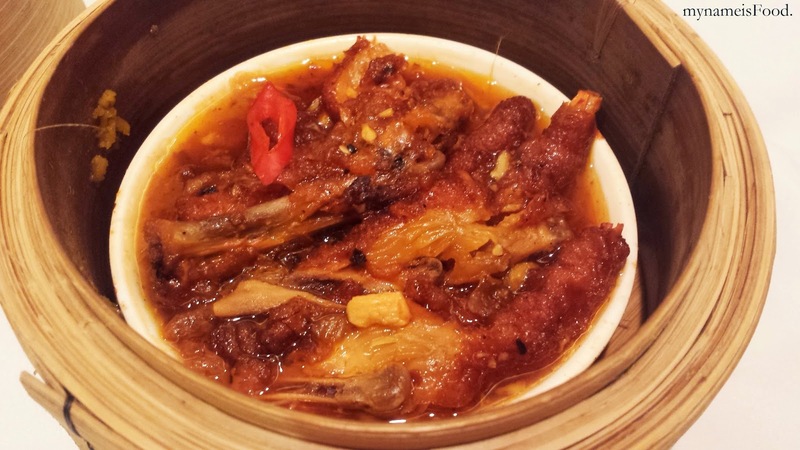 'Chicken Feet in Szechuan sauce' is a typical and most commonly ordered dimsim dish. The chicken feet.. Though not everyone likes the look of it, but the sauce and the combination of the softness of the feet makes it tempting not to eat..
'Stuffed Beancurd skin with pork and shrimp' is one of the dimsim dishes I would recommend, though its simple but the crispyness of the beancurd skin blends in well with the soft pork filling.. Soy sauce is not needed for dips I reckon, since they have their own sauce which is already flavoursome..
'Har Gow' is simply a dumpling filled with shrimp, some may use the same dumpling skin for its transparency and smoothness and fill it with pork and nuts or pork and vegetables and so on. 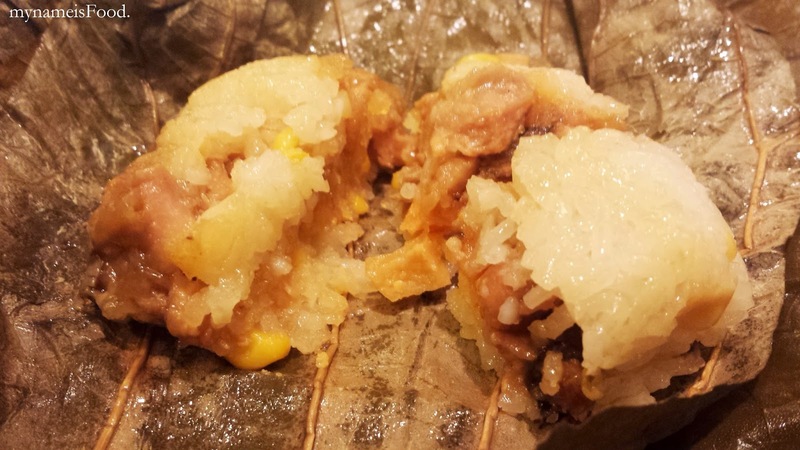 'Siu mai' is pork dumplings, I'm sure everyone knows it and one of the most commonly ordered as well. 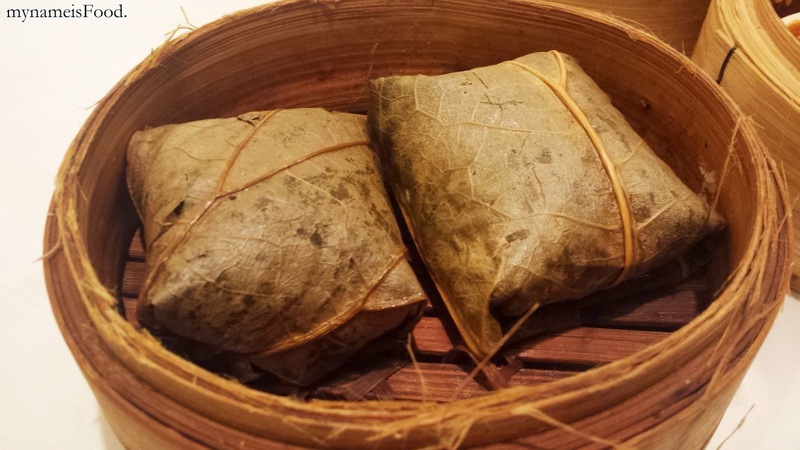 'Lo ma kai' is a unique dimsum dish which consists of sticky rice filled with chicken, chinese sausage, mushroom, shrimps and sometimes egg all wrapped in a dried lotus leaf and is steamed.. 2 portions are usually given when you order this dish which you can share amongst yourselves if you are not wanting to finish one on your own. 'Steamed Spare ribs with black bean sauce' can be hard to get right since sometimes I found that there has been inconsistencies between restaurants. Some may get a very soft pork rib meat while some would make you chew or pull a little more than others.. The black bean sauce was not overpowering though I would've liked abit more sauce on the ribs rather than just a few beans and sliced chillies on top. 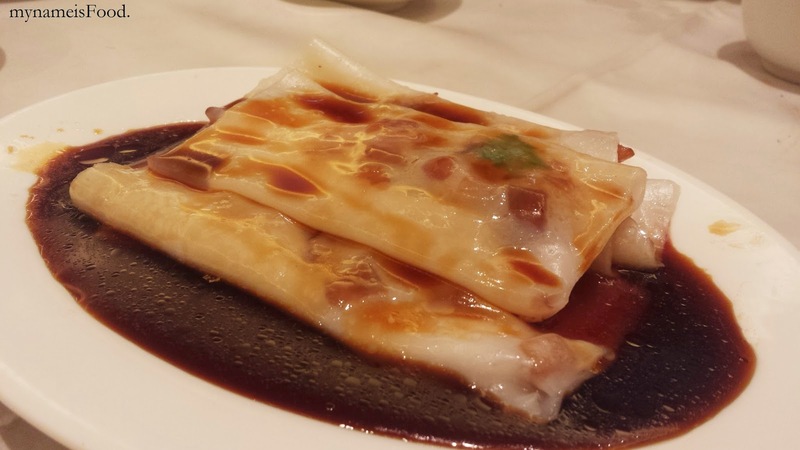 'Chee Cheong Fun' is one of my favourite dimsum dish, though I always get the bbq pork filling when they ask. 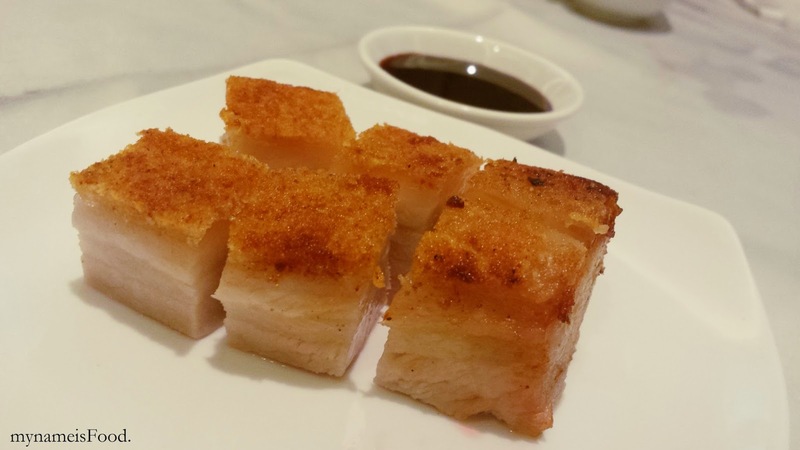 They usually have a variety of fillings incl chicken, pork or seafood (usually just filled with prawns), but the bbq pork just gets me all the time.. The sauce also depends on the waiter since some can be a bit selfish when pouring the sauce.. It might be abit hard to grab it with your chopsticks so I do recommend a bit of chopsticks and the spoon, make sure you get the sauce in it too. 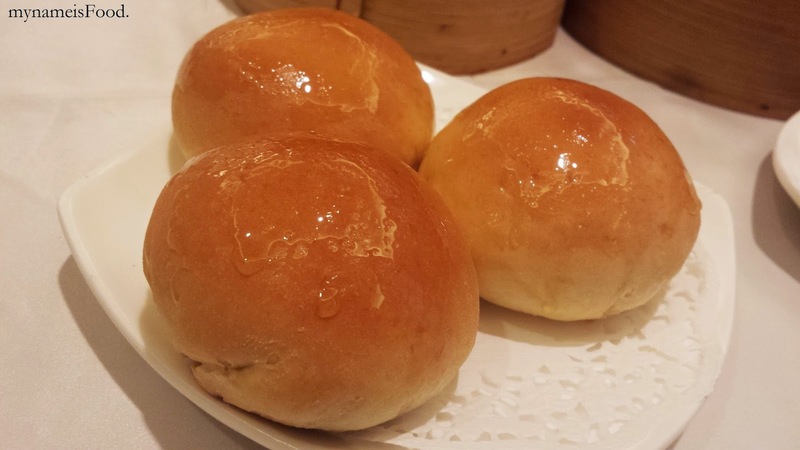 'Baked BBQ Pork buns' which is kind of weird, because it was abit cold but the filling of bbq pork got abit cold as well.. So I wasn't too sure what they were aiming for here.. The bun was just like bread, coated with liquidy sugar.. The bbq pork was also quite dry for some reason.. 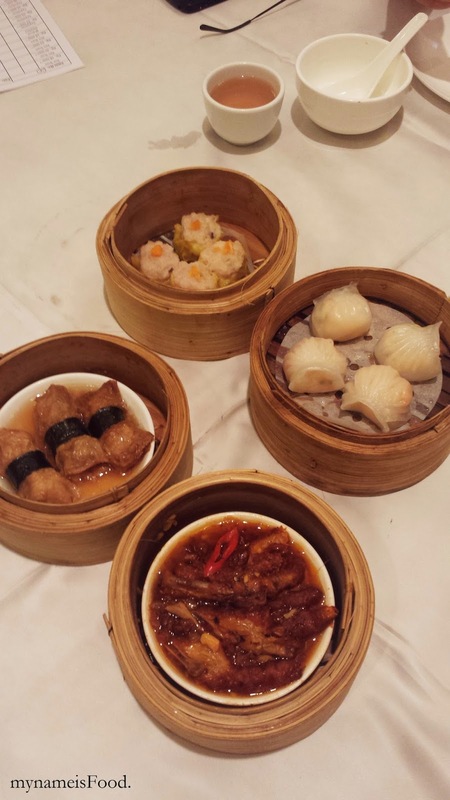 I would have rather just got myself normal bbq pork buns instead..
'Deep Fried Taro with Shrimp and Pork dumpling' is such a pretty dish I reckon.. It's because of the net look.. Inside is taro filled with shrimp and pork. 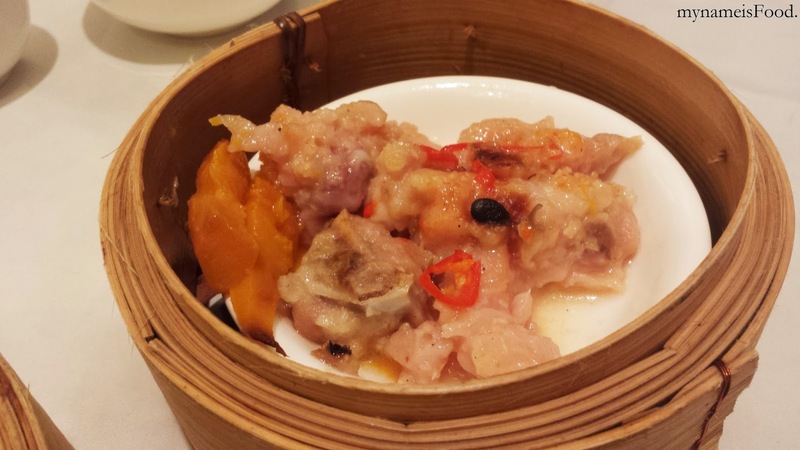 Sometimes this dish can be abit bland in taste wise, some may have more pork than the taro itself. 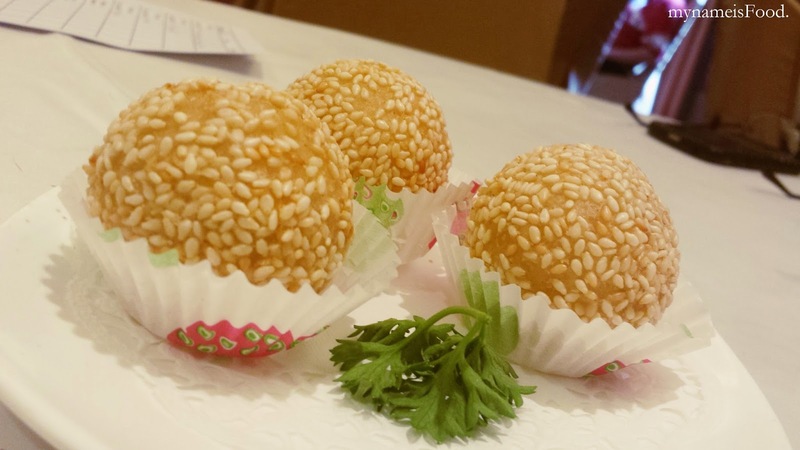 'Deep Fried Sesame Ball', in Indonesia, people would call it 'Onde-onde' which is quite a cute name I must say. 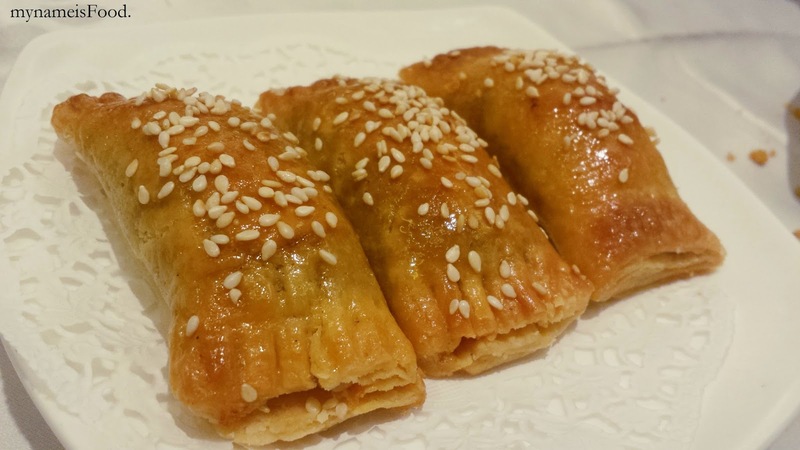 Overall, it's a thin skinned coating with sesame covering it, filled with mashed sesame. So.. it is a very sesame dish. 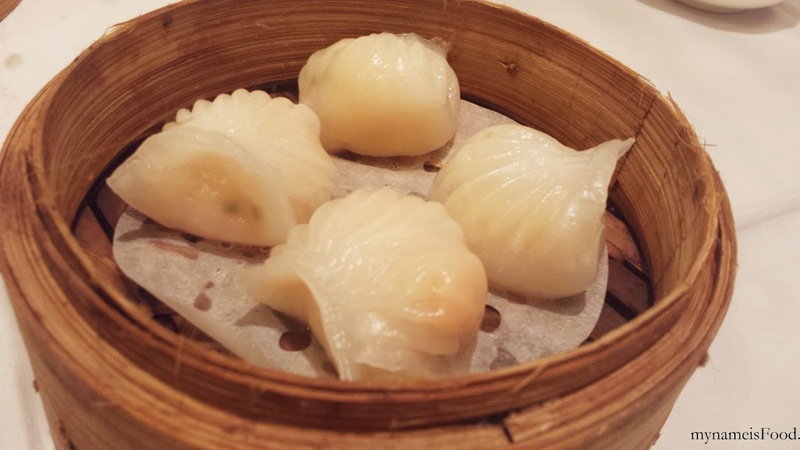 This was a dim sum dish which I don't see very often. 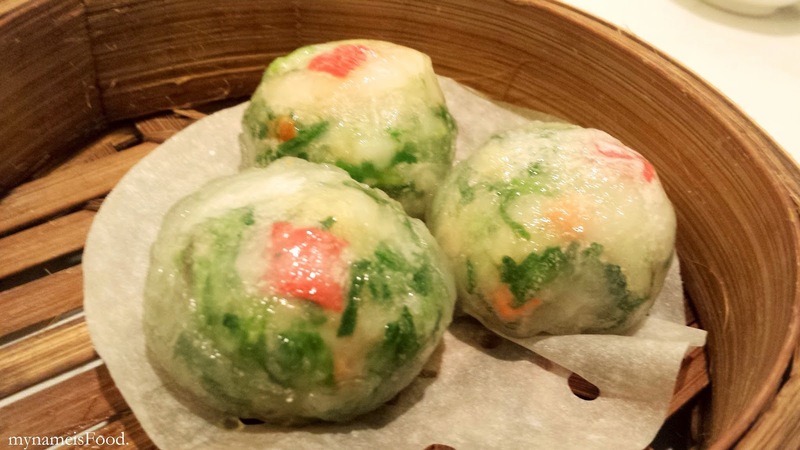 It kind of resembles the ha gao transparent dumpling skin however, this was a bit more transparent. It was filled with parsley, pork and peanuts which was quite refreshing as it wasn't hot when served.. One of the best dimsum dishes out of them all so far..
'Deep fried spiced Japanese bait' which reminds me of salt and pepper whitebait in Brisbane, however I think this was either bait or maybe they called it something else, I'm not too sure.. But this was my replacement instead of those fried squid, and I did quite like it.. They were able to balance the thin fried coating of the fish and able to spiced it up well. 'Baked BBQ Pork Tart', not too sure what this was called bu the filling was BBQ pork, with a pastry outing topped with sesame seeds.. 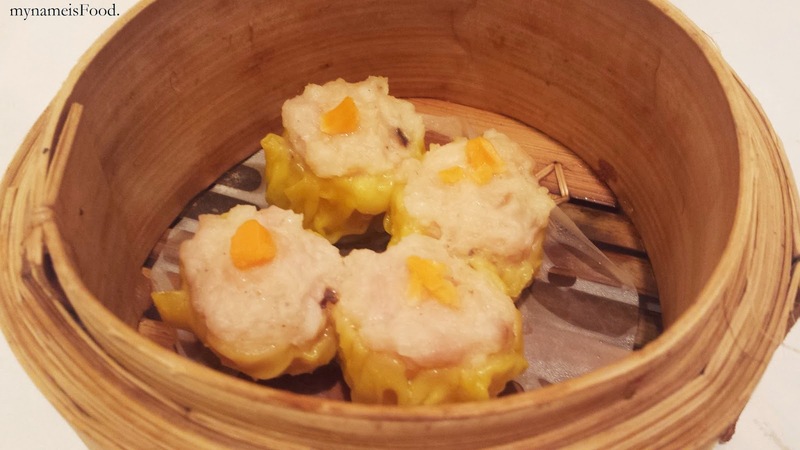 The filling was just okay, similar to the previous pork buns we had, but had a slightly off colour. 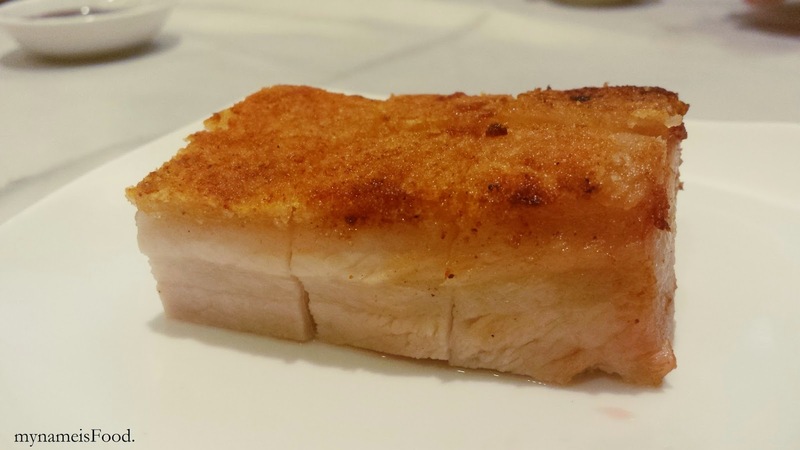 'Crispy skin pork belly' will always be one of my favourite type of way of cooking pork belly, other than braised pork belly in soy sauce which also another yumm.. Nothing special here, though I think the skin could have been crispier than what it was. 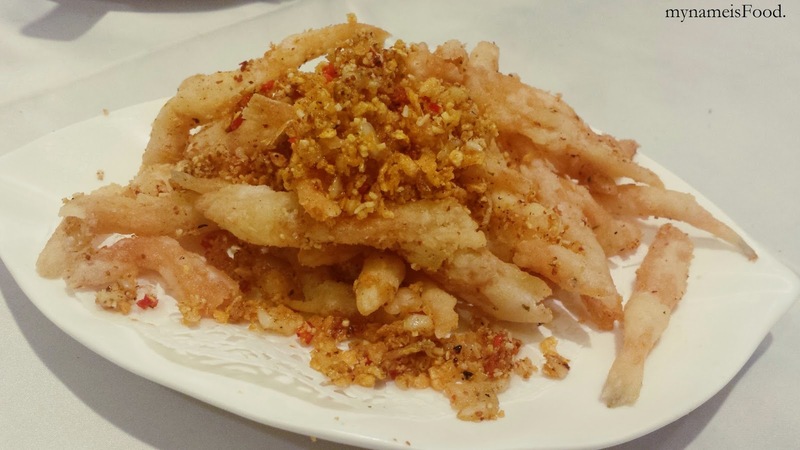 Only served with chilli or soy sauce on the side and servings were quite small in regards to its pricing. 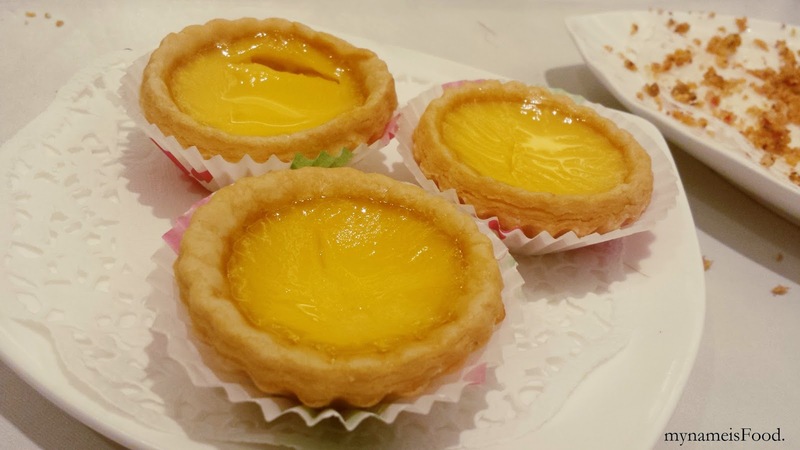 Finished our dishes off with 'Baked Egg Tart' and I have to say, they did get the consistency and the crispyness of the pastry and the egg was just right for the balance..